Over at the Babble website, friends of Zarjaz & Dogbreath, Lee Robson and Bryan Coyle have begun a series of special promotions for his almost imminent title. Last week we were treated to The Blue Spear courtesy of Kev Levell and this week they asked me to provide them with a pic of the one and only- Whistler! Also from Lee and Bryan- ABC Warriors- Broken Dreams. Coming very soon to Zarjaz. 1st Look- Judge Dredd- Sleeper Awake! 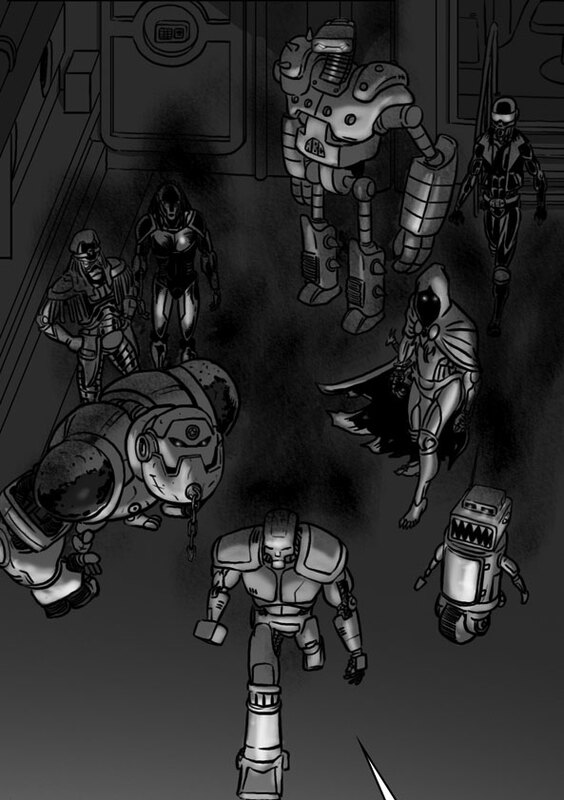 A first look, sneak peek at an upcoming Judge Dredd strip for Zarjaz. SLEEPER AWAKE is by Tom Proudfoot and David Broughton. Jon Haward has recently posted this pic on his Blog. 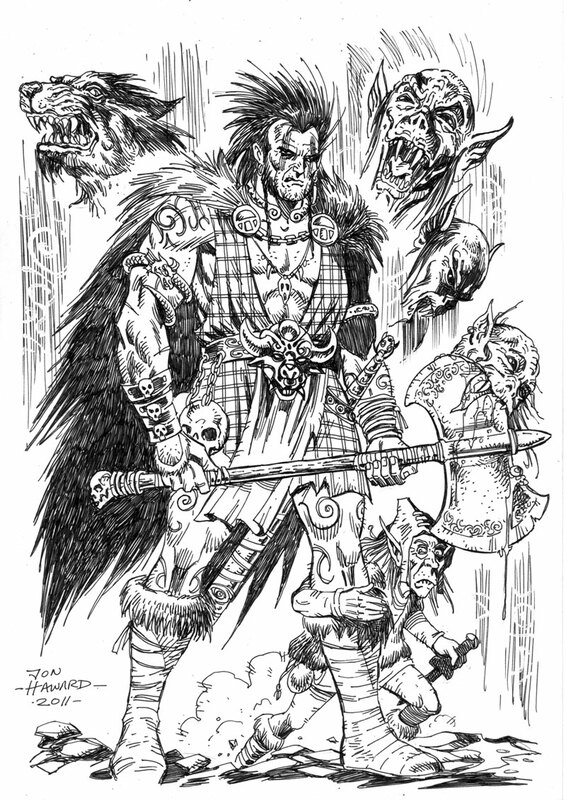 What he didn’t tell anyone is that this is a warm up piece created to inspire Zarjaz co-editor and rather talented writer Richmond Clements into writing a Slaine strip for him. More news as it happens. Coming soon to Zarjaz, and just in time- Dirty Frank’s Holy Wrong. Join The Emperor and Bruno Stahl as they show us a glimpse of just how wrong some things can be. Available in Zarjaz 14, on sale from November.